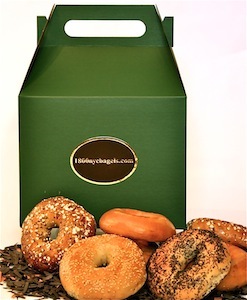 It’s easy – go to any device and type in 1800nycbagels.com You will be connected directly to the order page – place your order- we bake and ship – SIMPLE. New York City (nyc) water is the finest water in the world, for bagels – No one else has it. send gifts to family, friends, associates. It’s different and will be greatly appreciated. People that have lived in the New York City miss having a good Bagel. Send them a dozen. Our family history in the food and wine business dates back many years. made exclusively for 1800nycbagels.com, they are of the finest quality. Our Bagels are difficult to appreciate until you try them. We will respond quickly and efficiently.